paint the rainbows ★彡: Cupcakes, Ninjas, & Flowers, Oh My! Cupcakes, Ninjas, & Flowers, Oh My! Hello again! I couldn't resist sneaking in another post (more polish-centric this time) this evening -- no better time than the week before finals to get bit by the blogging bug, lol. 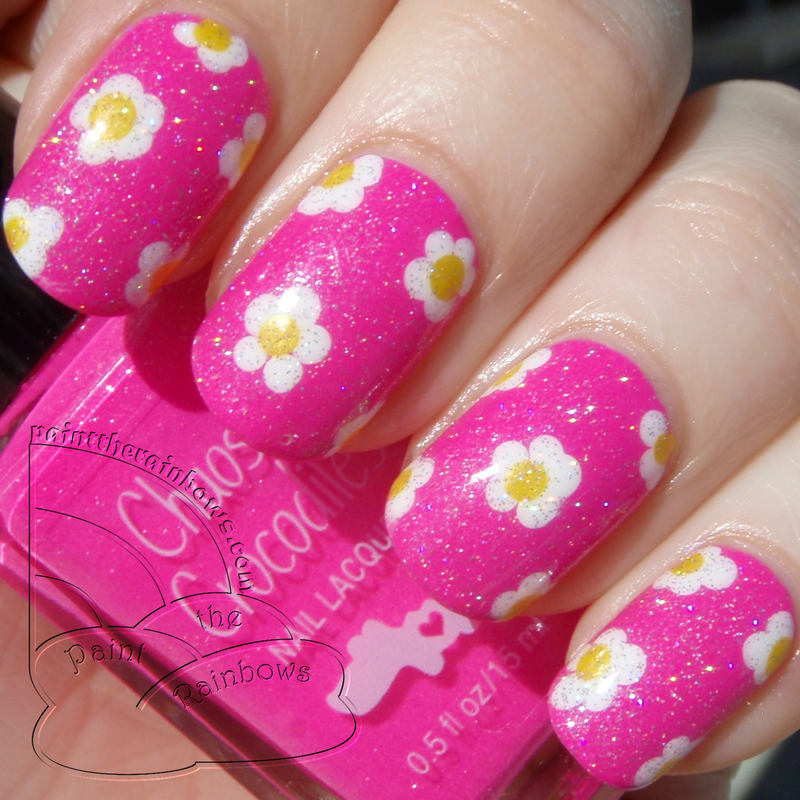 Today I have a super cute mani that I wore all of last week to share with you. I started with Chaos & Crocodiles Cupcake Ninja, a yummy hot pink with silver and pink shimmer. I actually wore it on its own for a day first -- it has an awesome semi-matte finish, and is totally opaque and leveled in just two coats! After a day I decided to get a little artsy and dotted on flowers with Cult Nails Tempest and China Glaze Sunshine Pop, and then finished it all off with China Glaze Fairy Dust for a little extra sparkle. Take a look! 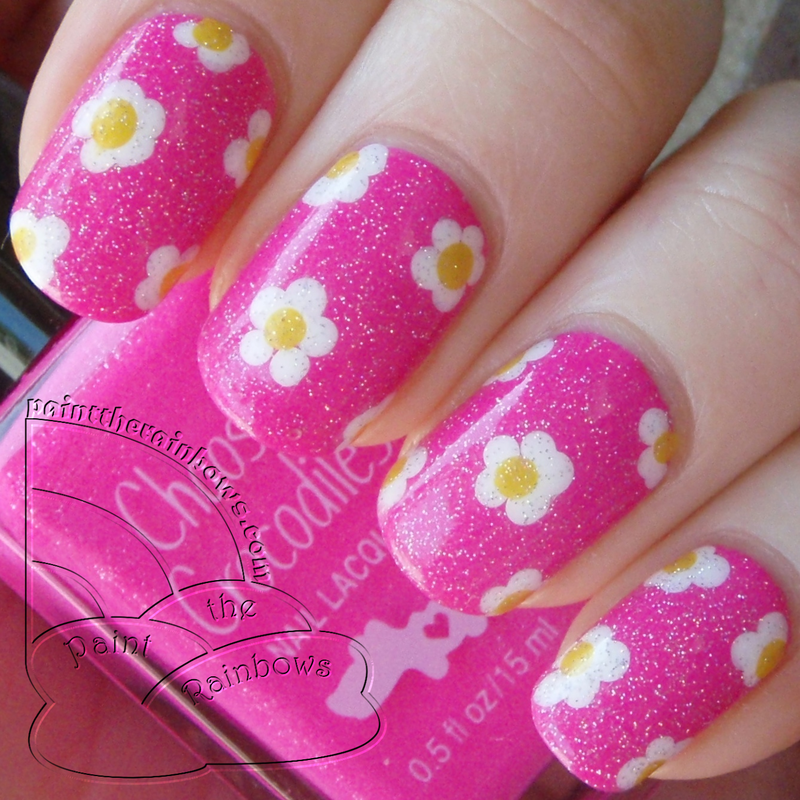 Such a cute mani! I obviously loved this one, since I didn't get tired of it for a whole week, lol -- and it held up for that long as well, with barely even any tipwear! Definitely impressed with my first C&C -- dying to try more now!